How soon will American TV viewers be at peak streaming subscriptions? When will American TV viewers hit peak streaming? The streaming wars in American television have been simmering for a few years—now they’re reaching a boiling point. Netflix said in January it had hit 139 million paying subscribers globally. That is a remarkable number, and even though there are many other OTT (over the top) products out there, Netflix has comfortably dominated the space for a while without any single formidable competitor. Now Disney and AT&T are coming. 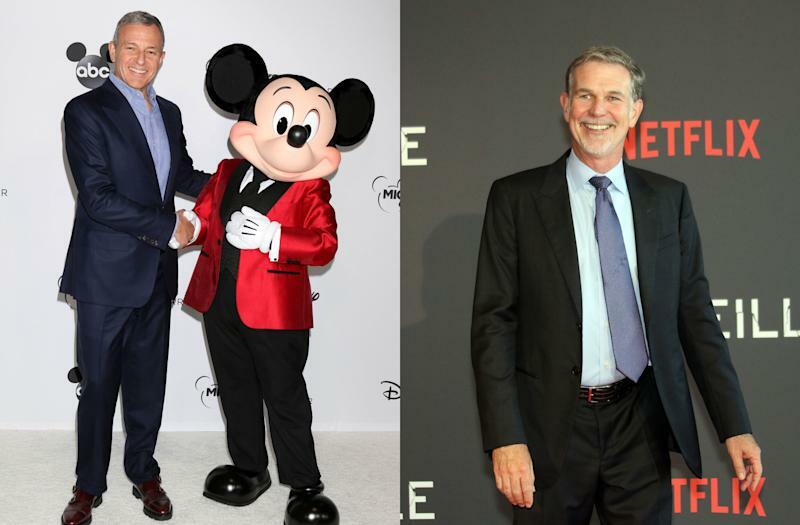 Disney will launch its streaming platform Disney+ in the second half of 2019, and JP Morgan, in a research note this week, is so bullish on the service’s prospects that it predicts Disney+ can eventually hit 160 million subscribers. (Keep in mind Disney also owns 30% of Hulu, and will own 60% of Hulu once the Disney-Fox deal goes through.) AT&T this week also announced it will launch a three-tiered WarnerMedia streaming offering in the second half of 2019 that will combine HBO with content from TBS, TNT, Turner Sports, Cartoon Network and more. And Comcast aims to launch an ad-supported NBCUniversal standalone offering in 2020. Then add in all the sport-specific OTT products like ESPN+, DAZN, FloSports, NFL Sunday Ticket, MLB.tv, NBA League Pass, WWE Network, and PGA Tour Live. As all these new services come out, and every content company appears determined to have its own standalone subscription, you might wonder when American consumers will reach “peak streaming,” the point where they feel they can’t pay for any more subscriptions. Might we be there already? Most media analysts don’t think so. And a 2017 Deloitte report on digital media subscriptions projected that by the end of 2020, half of adults in developed countries will pay for at least four online-only media subscriptions. Deloitte estimates the average cost of each subscription at under $10 per month. So four subscriptions at about $10 each is still only $40, which is half of the average monthly U.S. cable bill of $85. In other words, even at four subscriptions, people believe they are saving money vs. paying for cable. Here’s when the tipping point may come: Deloitte predicts that by the end of 2020, 20% of adults in developed countries will be paying for 10 digital media subscriptions, at an average of over $100 per month. At that point, a person paying for 10 subs would be spending more on those subs than cable costs, so you might wonder whether the pendulum could ever swing back to the cable bundle. On the other hand, a popular argument is that cutting the cord isn’t just about cost savings, but also principle: many people don’t want to pay for cable, period, because they don’t like the idea of paying for channels they don’t want to watch. On my own Twitter account this week, I ran a poll asking my followers how many OTT subs they currently pay for: one, two, three, or four or more. It was a very small sample size (350 votes), but I was struck that a quarter of respondents are already paying for four or more. I received many engaging replies, and was also struck that none of the people paying for four or more sound unhappy about it; they generally feel they’re getting a better deal than paying for cable. Netflix, Hulu, Amazon Prime, ESPN+, seems like a lot on paper (and I’m dropping ESPN+), but this combo plus YouTubeTV is less than I paid DirecTV last year. The takeaway for me is that the conversation of “cable vs. cord-cutting” is old news, and now the excitement is shifting to how many standalone subs each of us is willing to pile on our media plates. I also clarified in my survey that I was asking strictly about TV services, but if you add in music subscriptions (Spotify, Pandora, Tidal, or Apple Music) your number likely gets even bigger. Apple has not done much yet in original video streaming, but when it launched its first two original TV series (“Planet of the Apps” and “Carpool Karaoke: The Series”), it launched them on Apple Music. Apple will reportedly unveil its own TV subscription later this month, but you might start to see more media giants combine all of their digital media offerings into one simplified service, like Amazon (shipping, Prime Video, and Prime Music all fall under one Prime subscription) and Google (imagine combining Google Music and YouTube TV into one simple monthly sub). 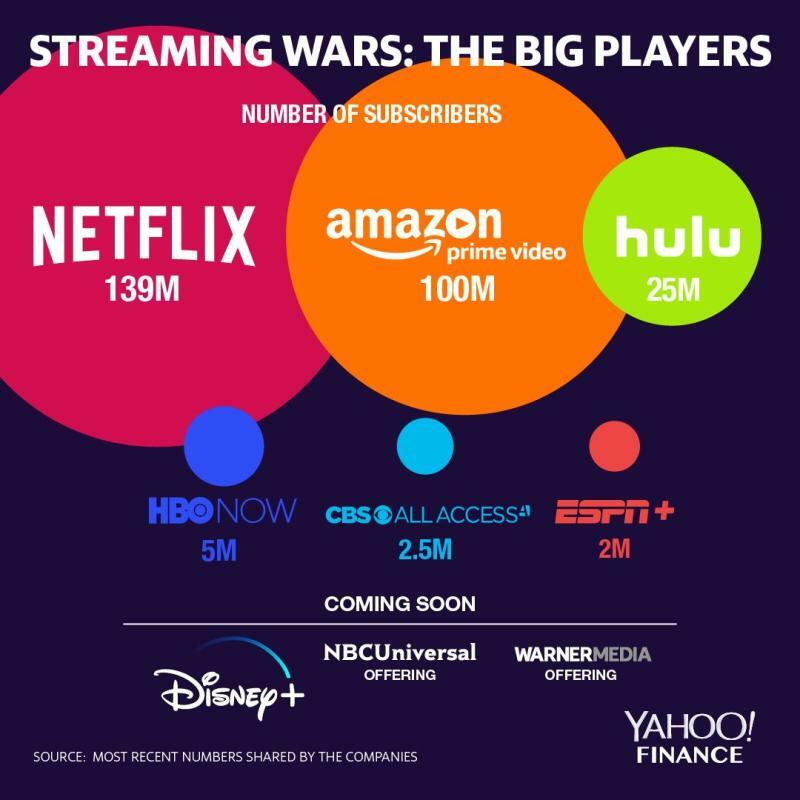 The streaming wars are not a zero-sum game. In other words, “Netflix vs Disney+” is not the right framing around the Disney+ launch coming later this year. People are unlikely to cancel Netflix in order to sign up for Disney+. Rather, they will add Disney+ to their list or skip it. For now, American TV consumers are willing to keep adding. Until they decide they’re full.